Madeline is a playwright. Her most recent play, Ladykiller, was awarded the Vault Pleasance award ahead of it’s revival at Vault Festival 2019. Madeline is a Sheffield-born, Nottingham-based LAMDA grad. As an actor she has enjoyed playing a diverse range of roles, from Tamora in an all-female Titus Andronicus to a World War I heiress-turned-ambulance-driver in FANY. Her most recent play, Ladykiller, proved a smash hit at the Edinburgh Fringe in 2018 and was recently awarded the Vault Pleasance award ahead of it’s revival at Vault Festival 2019. The play is directed by Madelaine Moore, performed by Hannah McClean and produced by The Thelmas. Her first full length play was an adaptation of the award-winning novel, Boxer, Beetle, by Ned Beauman. The play was selected to be presented as part of Rich Mix’s Small Story, Big City project in 2015. Since then she has enjoyed success on the rural touring circuit with her tender, dark and funny stealth-immersive hit Think of England, which transports rural audiences back to the 1940s before hitting them with a heady cocktail of sexual morality, feminism and global politics. Think of England was re-worked for a run at Vault Festival in 2018, where it received a host of excellent reviews. Madeline is the Associate Writer for Anonymous is a Woman Theatre Company with whom she continues to develop the highest quality work for the rural touring network, as well as other exciting projects soon to be announced. 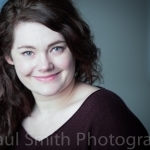 Madeline is currently working on a number of projects for theatre, TV and radio.